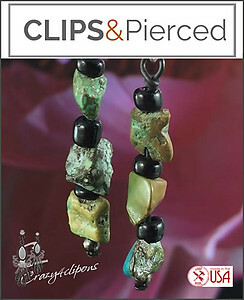 Features:Very unique looking clip earrings. 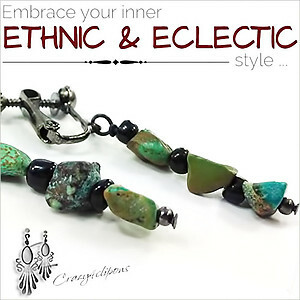 They feature natural raw (unpolished) turquoise nuggets and black glass seeds. 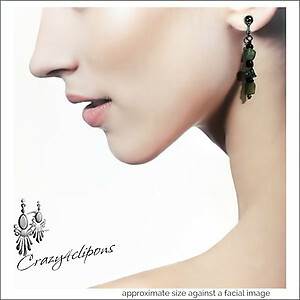 All hand wrapped in gunmetal wire to enhance the uniqueness in colors and texture. Note: Nuggets are all natural, therefore a roughness to their look which gives them their uniqueness. No two nuggets are the same so colors, sizes and textures will vary.